Common, ordinary, taken-for-granted or neglected herbs: rewarding to grow, easy to use. Want to add more green to your diet? a big bunch of Chives, Dill or Flatleaf Parsley adds Vitamin C, iron, fiber and flavor to simple, familiar dishes. Huh? You’re kidding! No, it’s this simple. Also, this good. Start the pasta cooking while you trim chives. Cut them about ¾ inch long. Heat 2 tbsp olive oil in a skillet and crush a clove of garlic (or 2 or 3) in the oil. Cook on low heat until garlic is soft and brown. Add chives, stir a few times and turn off heat. Now your pasta should be close to done. Before draining it, ladle two cups of the cooking water over the chives & oil in the skillet. Run some cold water into the pot, let stand a few minutes, then drain. Noodles will be less likely to stick together. Turn heat on again under chives, and season with salt and plenty of black pepper. A chopped sprig or two of parsley or littleleaf basil may be added – not enough to overpower the delicate chive broth. Simmer just a minute. Variation: fold in a half cup soft goat cheese for a thicker sauce. Divide pasta into 4 bowls and top with crumbled Feta or Romano. Spoon very hot chive broth over pasta. Simmer whole potatoes in water just under boiling, until one can be pierced with a fork. Drain off water and leave potatoes in covered pan to cool completely (this keeps them from crumbling in salad.) When cooled, cut them in halves or quarters, or leave whole if very small. Drizzle with oil, add Parsley and Chives or scallions, and toss to combine. Season to taste with salt and pepper. Chill or serve at room temperature. Like Chives, beyond "sour cream and baked potato," leafy Dill goes way beyond "Pickles"! 3 cups flour, beating well after each addition, to make a soft dough.Let rise till doubled, stir down. Drop into prepared muffin tins, filling half full. Let rise until doubled, then bake at 375º until tops are browned. Brush with melted butter. Makes 12 medium muffins. How about a lively alternative to Garlic Bread? This mixture, with the addition of a cup of good breadcrumbs, can also be used for a vegetable gratinee. Split small zucchini or eggplant lengthwise, parboil in salted water 5 minutes, place cut side up on a baking sheet. Add halved Roma tomatoes. Spread generously with Parsley mixture, and bake at 400º until zucchini is fork-tender. 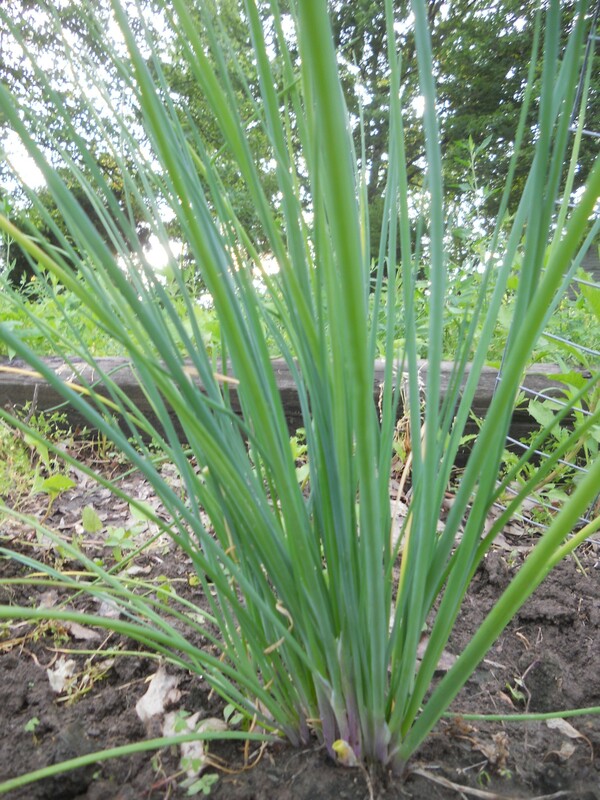 *Growing tip: cut chives at the base, even if you only need a few. 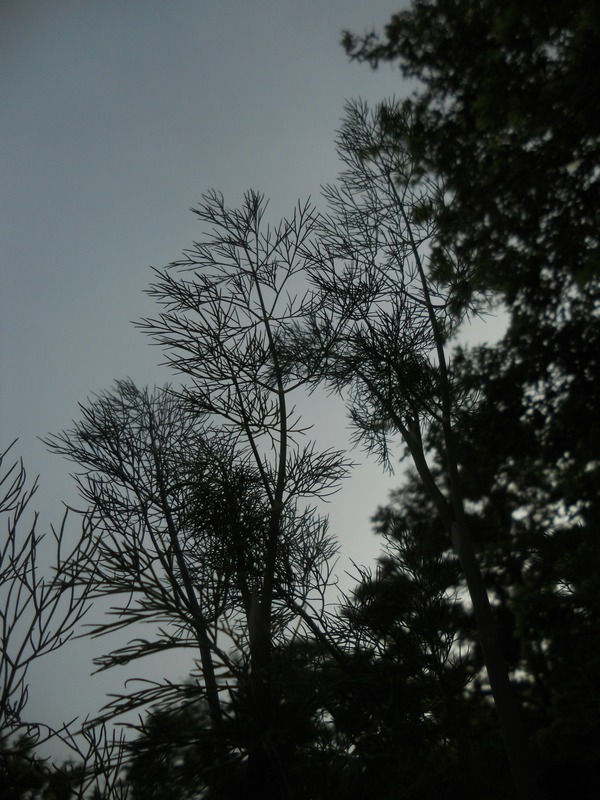 Cutting just the tips causes the entire stem to die back, and eventually will weaken the plant.